HORSIN AROUND IN THE VINEYARD - PONY CAR ROUNDUP (& ALL FORD) & ART SHOW! 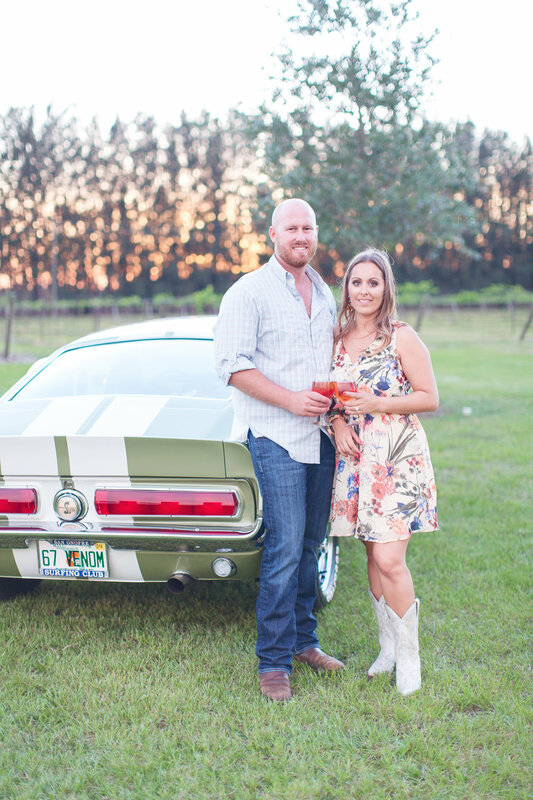 Celebrate the Birthday of the Mustang, with models & generations from all over Fla gathering in the vineyard for this annual event. Individual owners & clubs are encouraged to bring their Ponys. Free to spectators. Show 12-4pm. Open to all classic and collectible Mustangs and Fords. Show car check in 10:30-11:45am ONLY. Favorite popular voting & awards for all generations of Ponies at 3pm! $10 day of car registration with $2 going to the days charity: Angels of Hope. Winners announced at 3pm. Must be present to win. Great food by Georgia Boy and Mi Cabana Taco Food Trucks.. Co-Hosted by No Name Car Club. Sponsored by Sunrise Ford. ART SHOW TOO! Music by the BEACHLAND BAND!